I continue to follow the river manzanilla pasada hoping to find the source. My third bottle in as many nights, this is a classic by Equipo Navazos that I picked up from Coalla Gourmet (as a wine of the week, no less). Had a first bottle of it back in October but after the excellent Blanquito and Maruja from this week was intrigued to try it again. 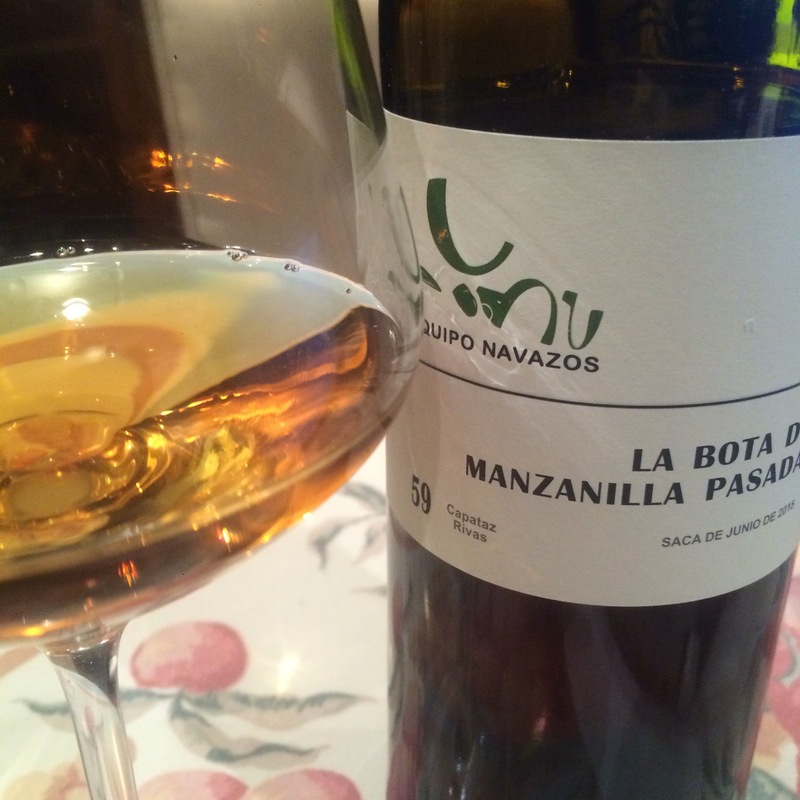 This has a lovely gold colour and again a fruity nose: in these manzanilla pasadas I am beginning to expect fruit rather than the caramel of a palo cortado or amontillado. This has a nose of old apples and ozone. On the palate it has a nice structure, a soft beginning, then mineral zing, then a salty fruit aftertaste – the most mineral of the three this week, but it has a nice balance.